Roblox has millions of players each month making, creating and playing games. A lot of the tools, however, are centered around making objects and environments that are square and blocky. Well, the developers have decided to evolve Roblox both graphically and creatively with the new Smooth Terrain creation toolset, which is very similar to the free-form map creator in Far Cry games. For Smooth Terrain, we wanted to enable the beginner to create an amazing world in 30 minutes with no tutorial. We started with the idea that if you give someone a paintbrush they know what to do. Then it was just figuring out how to make that brush paint full landscapes. The tools include paintbrushes where players can just click and drag new objects, terrain or structures into view as if all the limits of your imagination are put into confines of a digital paintbrush. Anyone familiar with Far Cry's map creation tool will find it similar in Roblox, only expanded and with the ability to make far larger worlds. To get an idea of what the new toolset looks like they released a short demonstration of how the new Roblox system works on the backend. During a virtual tour of the new feature, Adam Miller also mentioned that content creators can actually take their old creations and port them over into the new terrain system. It's called a “one button conversion”. Of course, you won't be able to bounce back and forth between the two versions so once you convert your map or game over into the new system and make some changes you won't be able to go back to the old system. Of course, if you're a Roblox creator and you enjoy the old style of your games you can leave them as is and maintain the old blocky feel. 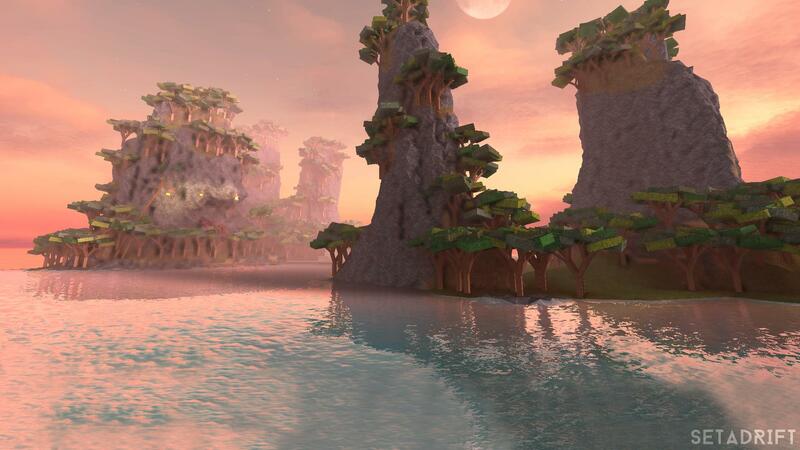 Quite naturally, though, a lot of new and old Roblox users alike will probably want to make use of the new smooth terrain system because it allows you to create all sorts of unique and different structures to your heart's desire. During the virtual tour I was shown a house that was quickly built on a cliff ledge with a long bridge connecting it to a slanted mountain face. Basically it demonstrated that players can build wildly creative games and will be able to elevate their aims for creating complex and multifaceted structures with easy-to-use tools. The map sizes have also been extended greatly, so open-world games are definite possibility. This is an important step toward our vision that user-generated games will match AAA titles for graphics, lighting, and overall artistry within the next five years. What we’ve already seen from our limited user testing is simply amazing. Further down the line the team did mention that they would like to have the tools available for in-game use, so players will be able to modify and create structures on the fly while they play the game. At the moment, Roblox is the number one online game for kids and has more than 15 million games in its database. Gamers who create their own games on Roblox can also earn revenue from their creations, as some of the creators managed to make $19,000 from their creations. The initial platform is free-to-use and you can learn more about the new Smooth Terrain feature by paying a visit to the official Roblox website.